This Sterling Silver is called (Furrows) after the many days spent in the garden. Ring measures 11 mm on the top and tappers to 6 mm on the bottom. The original wax was carved by me and a mold was made. 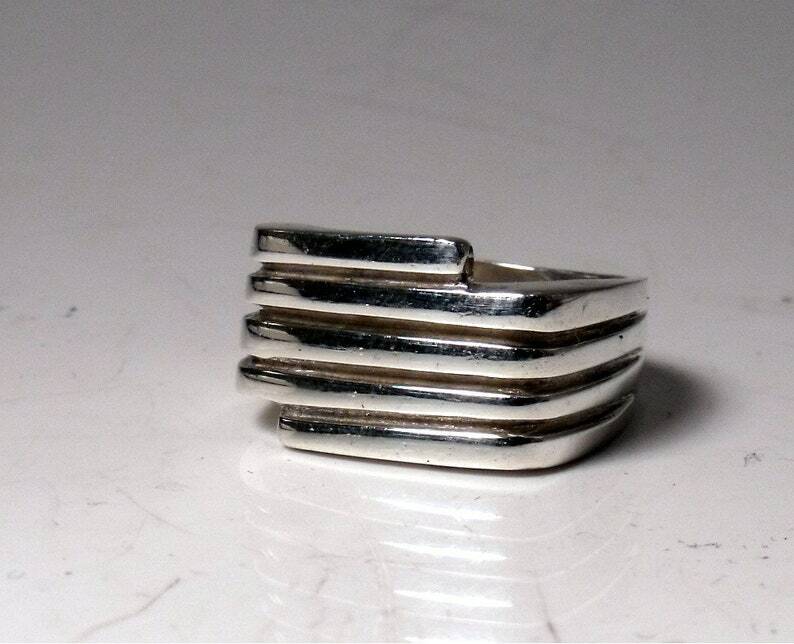 I can make this ring for you in your size. It can be made from other metals. Usually ships in 1 weeks.